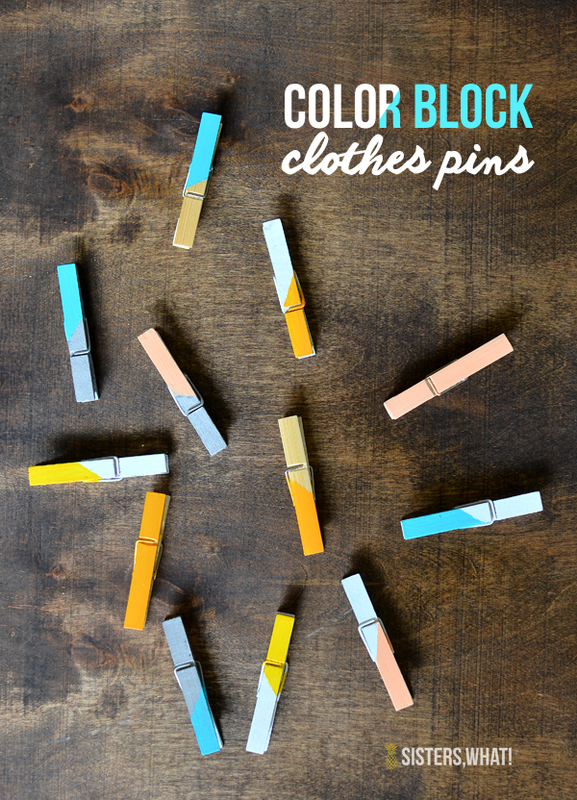 ' DIY Color Block Clothespins Magnets - Pinterest Challenge August - Sisters, What! 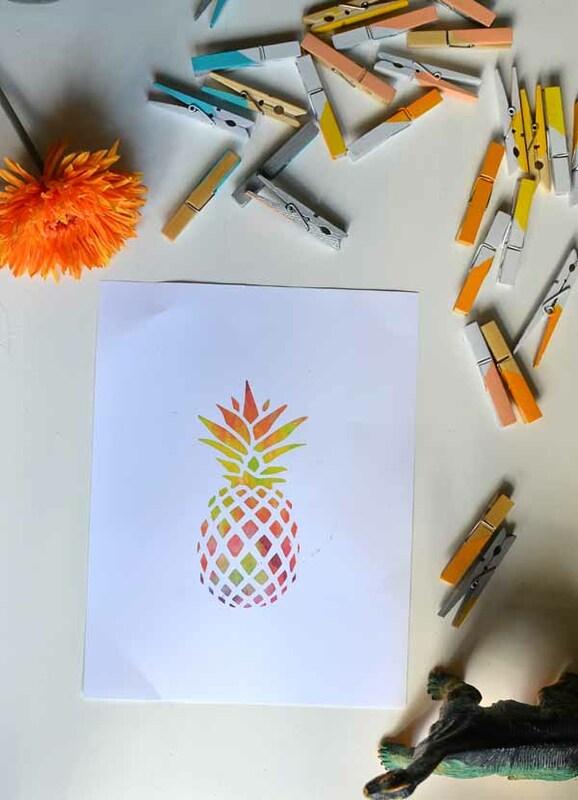 Feels so good to be back with another Pinterest Challenge. 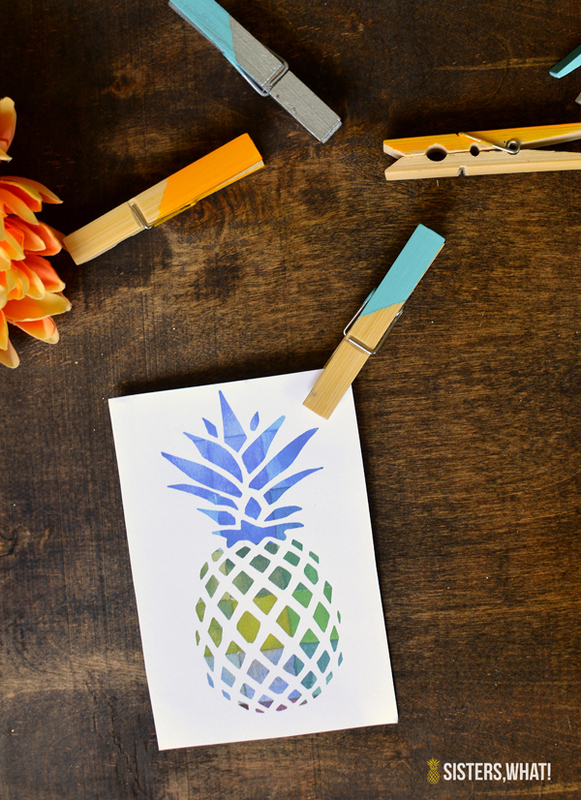 We skipped July for a little summer break, but now that summers practically over, I decided I needed to do a project with some summer loving colors. 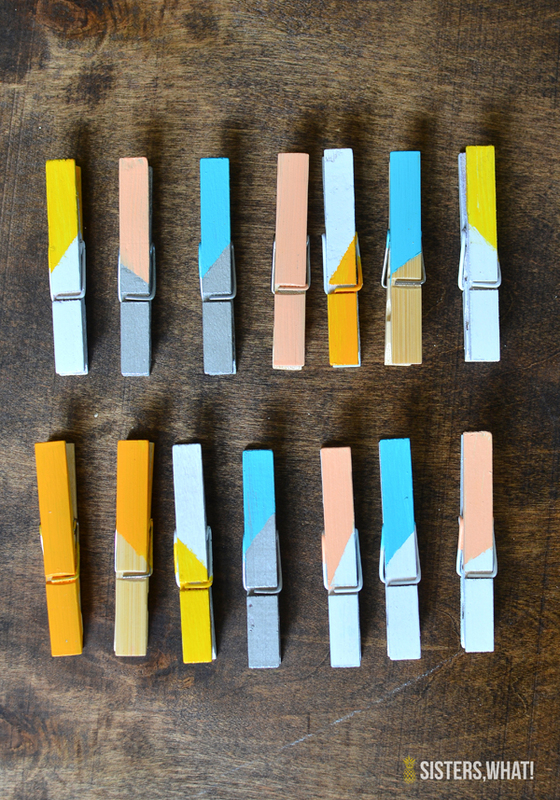 Painting clothes pins have been on my list for a long time, so DIY color block clothes pins seemed the perfect color and crafting fix. 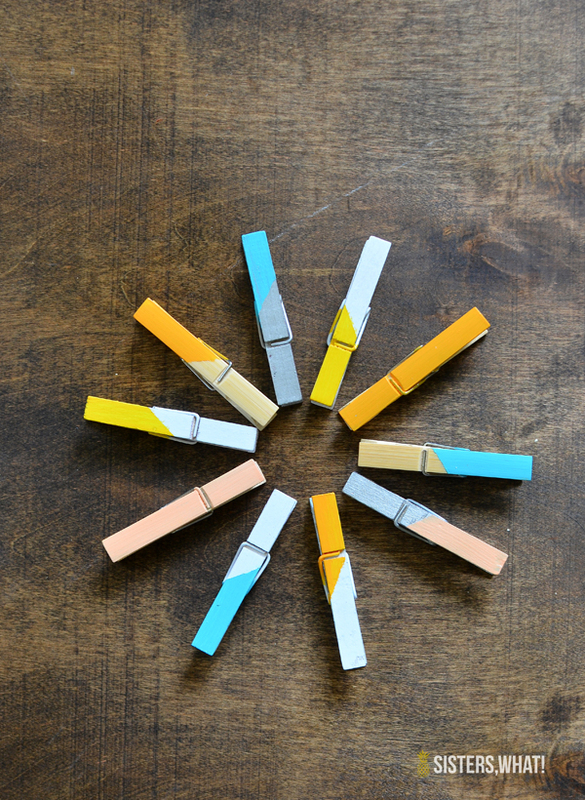 We use clothes pins all the time. Like for everything. So we keep a good stack in the kitchen drawer. But, they needed a make over; especially since I last painted them. And seriously, I get over how fun these are. I even added magnets to a few of them, so now a lucky few reside on my fridge. 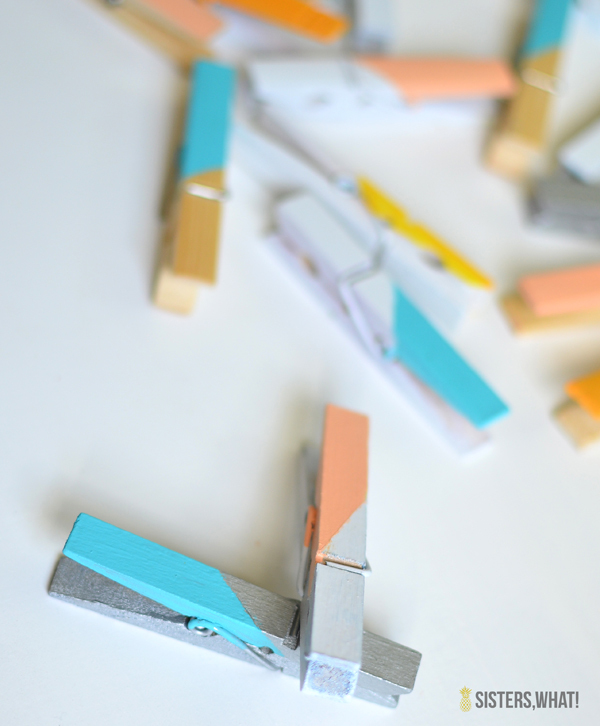 All the other clothes pins in the drawer are really jealous, like seriously. 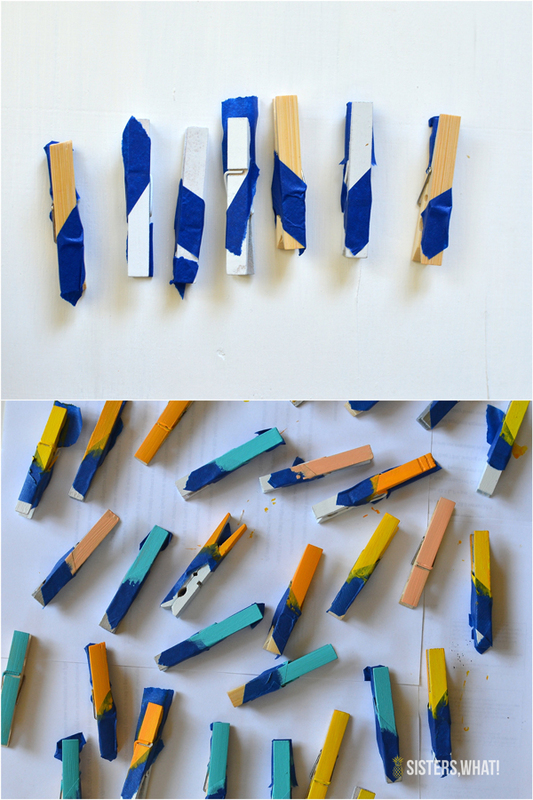 Painters Tape - I highly recommend frog tape over the blue stuff, nothing gets under that. 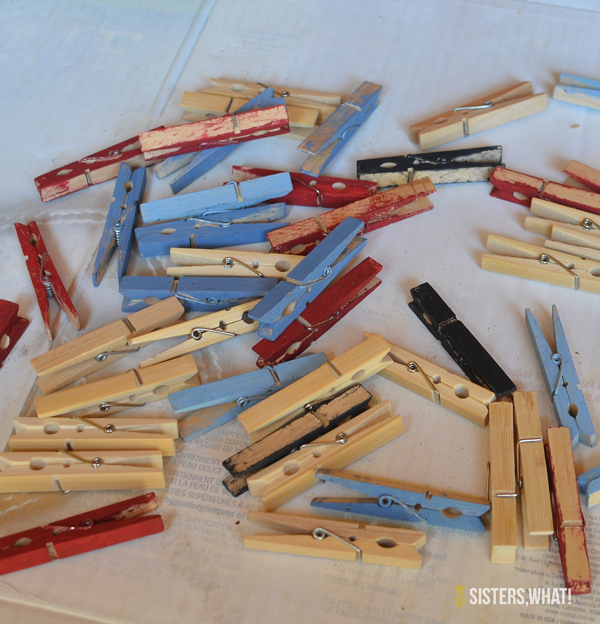 Spray paint your clothes pins. 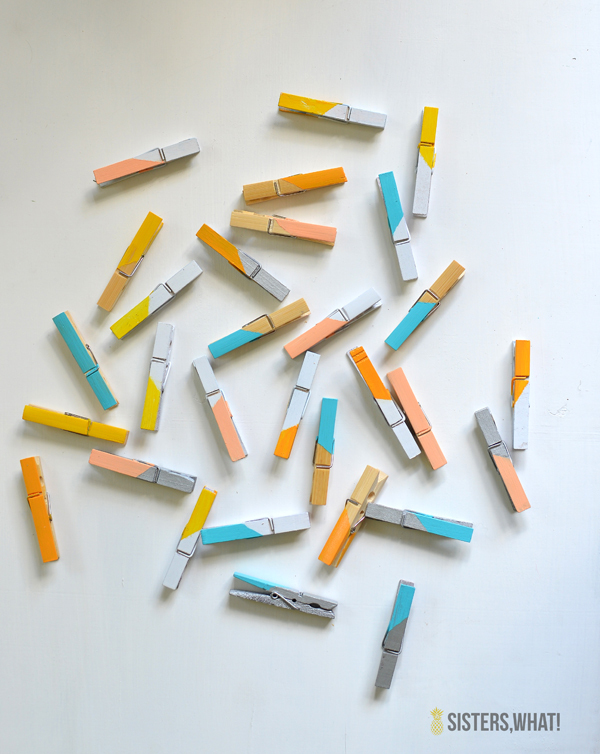 I spray painted half of my clothes pins and left the natural ones plain. 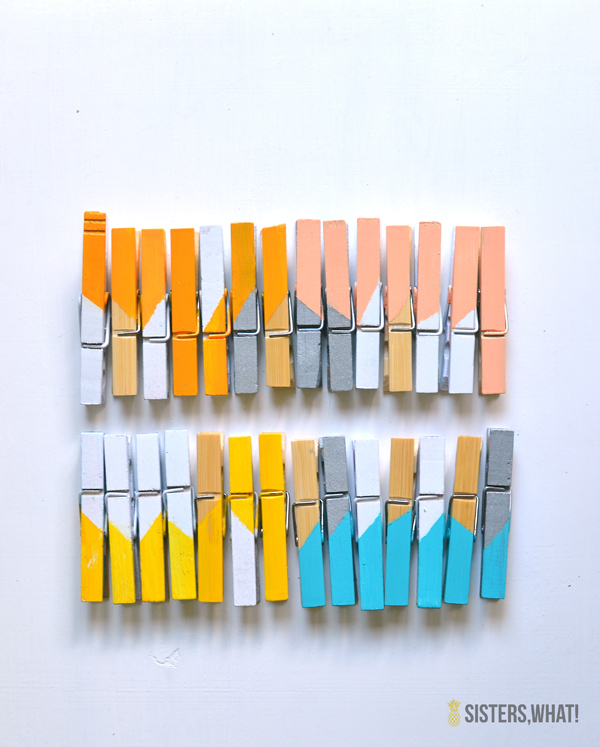 Paint clothes pins. I had to do multiple coats of some of the colors. 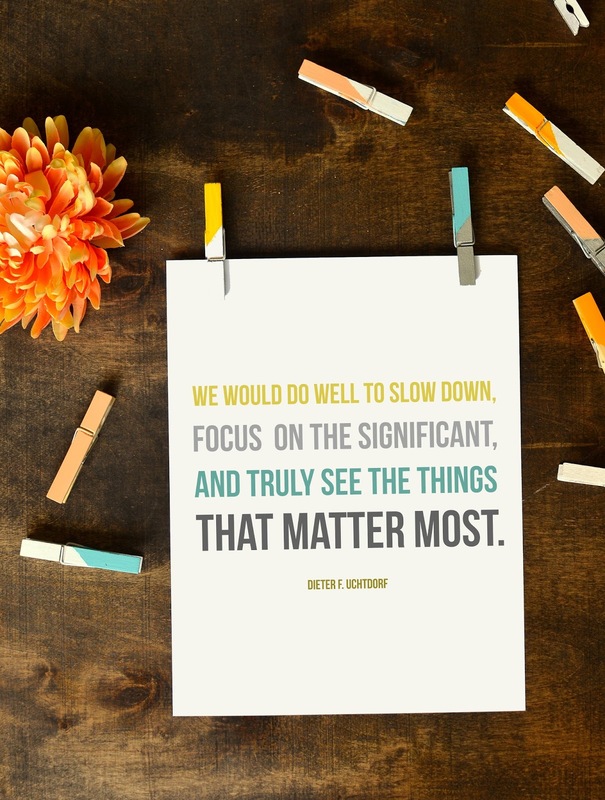 Then let dry. If you want to attach a magnet to the back, use E6000 glue for a good hold. 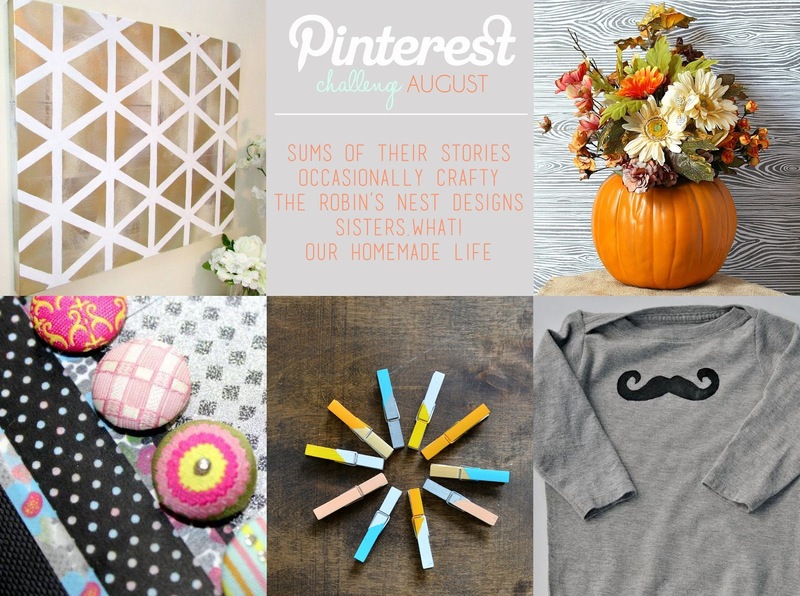 And make sure to go down to see everyone else's pinterest project for this month. Captain Awesome tried really hard to photo bomb my pictures with his dinosaur. He thought he was so funny, I guess I did too : ).